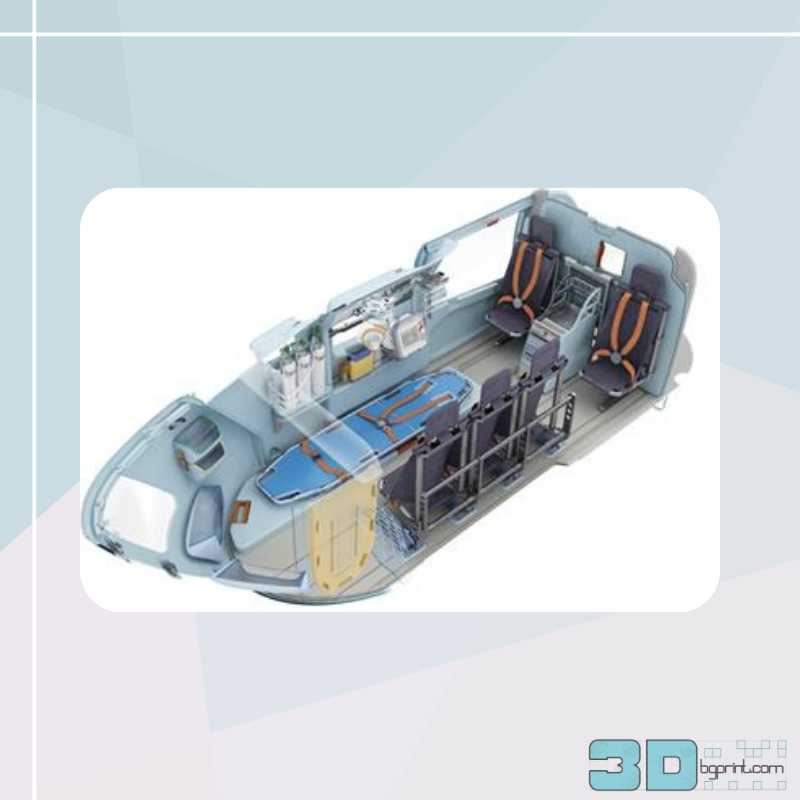 Mecaer Aviation Group (MAG), a leader in customizing high-end helicopter interiors, is using industrial 3D printers from Roboze to create end-use parts for its designs. The company is using advanced materials like PEEK for parts that will be installed on forthcoming helicopters. When working for luxury helicopter specialists like MAG, designers have to aim high. Sky-high, in fact. To create the most contemporary, comfortable, and stylish interiors, the company must ensure that it provides high-quality in-flight entertainment via modern computer, television, and sound systems, while also taking care of technical aspects like noise and vibration reduction, environmental control, and the presence of emergency medical systems. Most importantly, to perfect all aspects of the in-flight experience, MAG needs to utilize the most up-to-date production systems, 3D printers included. Although it already had a foothold in 3D printing for rapid prototyping and other purposes, MAG recently partnered with 3D printer manufacturer Roboze to acquire a number of Roboze One + 400 industrial 3D printers. With these machines, the Cabin Comfort division of the helicopter specialist has been able to create a number of important parts for its luxury helicopters interiors—not prototypes, but end-use parts that will be incorporated into future helicopters. Although neither MAG nor Roboze has specified which helicopter parts have been 3D printed using the Roboze 3D printers, Roboze will be showcasing some of those parts at next week’s formnext 3D printing trade show in Frankfurt, Germany.